You know, FruCool. As in, frugal + cool = FruCool. How FruCool are you? Check out these tips courtesy of CreditKarma. Are you FruCool?Pay with cash or debit card, avoid paying with a credit card. That way, you won’t buy more than you can afford and won’t incur interest fees. Use free services instead of paid services. Why pay for a gym, when you can take advantage your local neighborhood parks? Being financially healthy is just as important, so to stay on top of your credit health, get your credit score for free at CreditKarma.com. Save instead of spend. Fidelity Investments reports that Gen Y members between the ages of 20 and 29 are saving more, spending less and generally doing a better job of managing their money. Most (84%) have limited their discretionary purchases, and nearly half of those are putting aside a median of $150 a month for rainy days. Coupons are FruCool – paying full price is not cool. 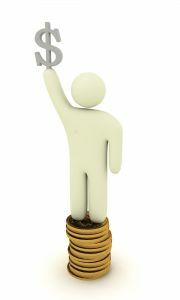 According to Inmar, coupon redemption in the fourth quarter of 2008 grew nearly 10% compared with Q407. Would you pay only the minimum balance on your credit card if you received a statement that outlines just how much you’ll be paying in interest on that balance? Probably not. Because then you’ll see that you’re paying nearly three times as much as your original purchase in interest fees alone! Well, good news. 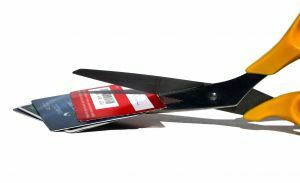 The Senate passed a bill this week that will put an end to the sneaky tactics of credit card companies. No more fees for paying your card over the phone. And credit card companies will have to provide at least 45 days of notice before hiking your interest rate. Plus, credit card statements will have to do the math for you, highlighting just how much it will cost you when you pay only the minimum. These rules first go into effect February 2010. The bottom line: Pay off your card in full each month and always check the statement carefully for any finance charges or other fees. Nearly two-thirds of U.S. consumers haven’t ordered a copy of their credit reports within the past year, according to a recent study by the National Foundation for Credit Counseling. If you’re one of them, take action right now. Just log onto http://www.annualcreditreport.com, fill out your information, and you’re good to go. (Stay clear of http://www.freecreditreport.com and other imposter sites — the credit reports they offer are not really free! Often, by accessing your credit report, you will unwittingly be signing up for their credit monitering service, which comes with a sizeable monthly fee). Why bother? It’s important to know how good your credit is, since a lower score will result in higher interest rates when it comes time to take out a mortgage or a loan on a car. These days, employers check your credit to ensure that you’re responsible. So it pays to check your report for any mistakes and know where you stand, credit-wise. I’ve had lots of side businesses over the years. When I was eight, I created my own magazine, which I photocopied and tried to sell for 10c each. That didn’t work out too well. As a teenager, I love putting together beautiful baskets for my mother’s friends to give as baby presents and hostess gifts. In recent years, I’ve done a lot of freelance work. Throughout all these varied experiences, I’ve noticed that people respect your enterprise more when you have a business card to hand them. A business card acts also makes it easier to promote yourself. And they come pretty cheap. So if you’re currently dabbling with a side business (from cutting and styling hair to selling homemade handbands), get yourself at least 100 business cards. Now, business cards come cheaply. Plus, you can write them off on your taxes as an expense (if they’re for business purposes). Visit Moo.com to receive 10 business cards for free, including free shipping. Staples is currently offering small businesses the opportunity to buy 100 business cards for just .99! Offer good through May 23. Just enter coupon code 27813 during checkout. Just tried ordering and discovered that you can’t pick up the cards in store, and therefore have to pay $7 shipping. Not such a great deal anymore. Although if you’ve recently lost your job, Staples is offering 20 free resumes and 40 business cards, though June 13. There’s always Vistaprint.com, where you can get 250 business cards for free. Shipping is $5.67 but can take close to three weeks. Have business cards helped you grow your business? Do you have a preferred place to buy business cards? If so, let us know. Don’t keep money secrets. Share with your partner any student loan or credit card debt you’re currently carrying. Sit down and create a budget. Sure, it’s not the most exciting way to spend the evening, but it’s crucially important. Figure out how much you make after taxes. Then, calculate all of your expenses. Your income should exceed your costs. Once a month, have a “money date.” Check your expenses against your budget using a tool like Mint.com. Start a “rainy day” savings account. Aim to stash enough money away to cover at least six months of expenses. If you’re a hoarder and your husband is a saver, or vice versa, talk about it together. Often the way we spend our money has a lot to do with our emotional, not rational, selves. Does haggling make you nauseous? Don’t try to haggle with someone who doesn’t have the authority or the time to talk; it’s just a waste of your time. Reiter braves the big ol negotiation at — of all places — a 99c store. The manager knocks down the price on several items. And let me tell you, if it works for Rieter, it can work for you, too.